Looks like Santa’s enjoying his day in the sun! 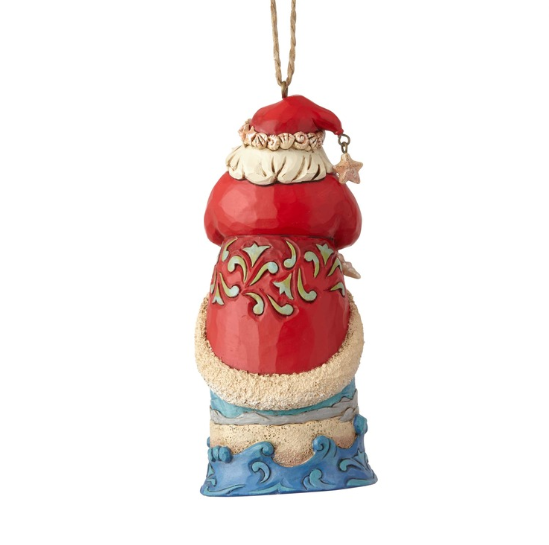 A very jolly St. Nick cradles a pearlescent pile of shells as more trim his iconic hat and sleeves. 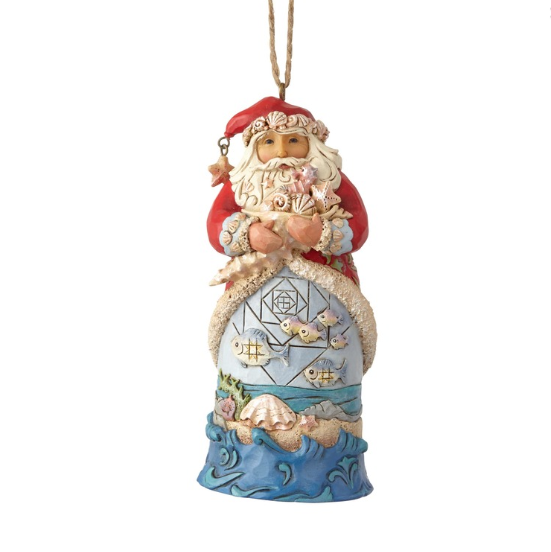 Jim Shore’s unique design turns the bottom half of this 4.75” ornament into a sundrenched ocean scene. The Jim Shore Heartwood Creek Christmas designs are wonderful. Arrived in tip top condition and looks wonderful on my Christmas tree. I buy a Hallmark Christmas decoration every year for both of my beautiful daughters and they now have their own trees decorated in their own homes.